Aloha! 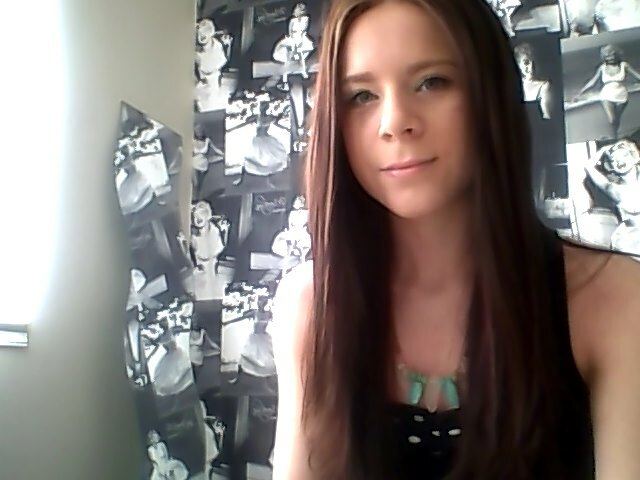 I have had a lovely Sunday, I attended a Vintage Fair in my home town. 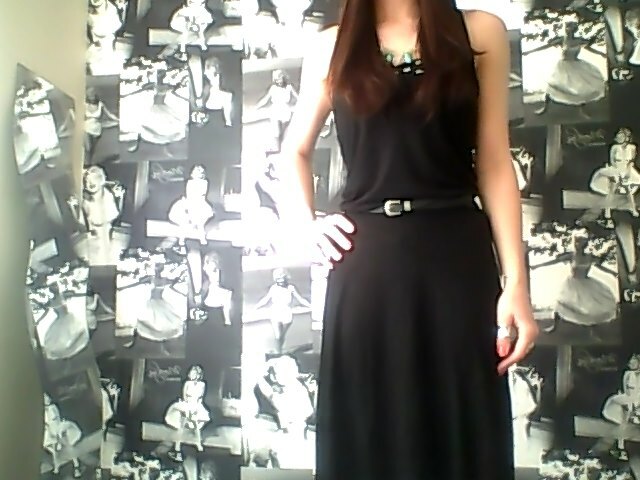 I chose to wear a dip hem dress & pull in the waist with a skinny western belt. 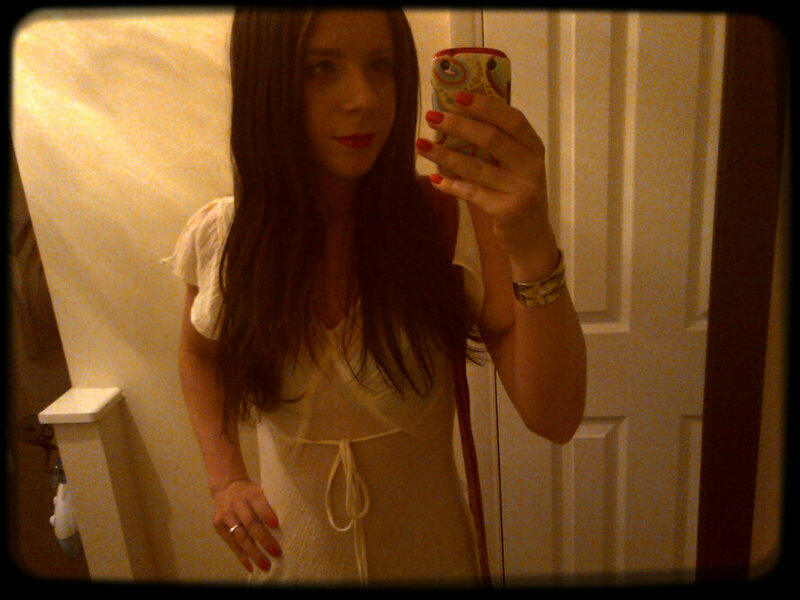 I accessorised with a polka dot bandeau because the dress does seem to dip low! 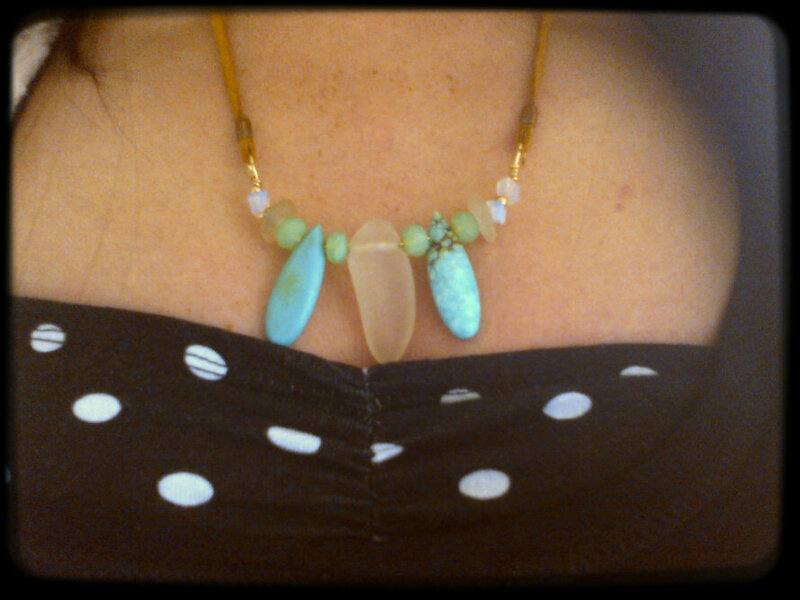 I also wore my beautiful sea glass necklace which adds some colour to my outfit. Such a beautiful piece of jewellery! The Vintage Fair was so busy, I had no idea there were so many vintage lovers in Middlesbrough. I saw some wonderful pieces & was tempted by quite a few but I managed to resist. On one of the final stalls I visited they had a beautiful vintage maxi dress. I was in love with it as soon as I saw it & then I discovered it was only £5.00! 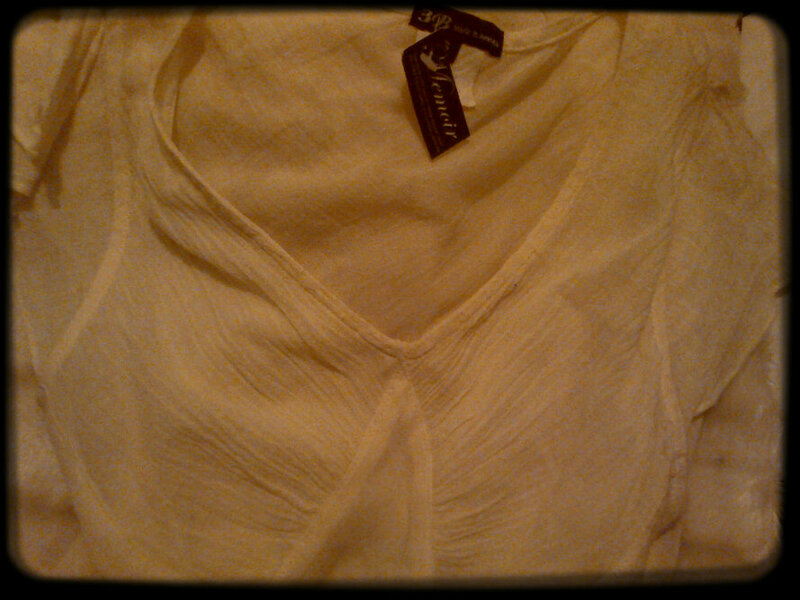 It is so delicate & has lovely little slits in the sleeves. I will get a better picture of it tomorrow for you all. I just love the style & delicate, romantic look of this dress. I couldn’t believe it was only £5.00! After the fair we headed to the hospital to visit his Mum, thankfully she is doing alot better & will be home shortly. Then we headed back to my place for yummy Tex Mex Food – so delicious! 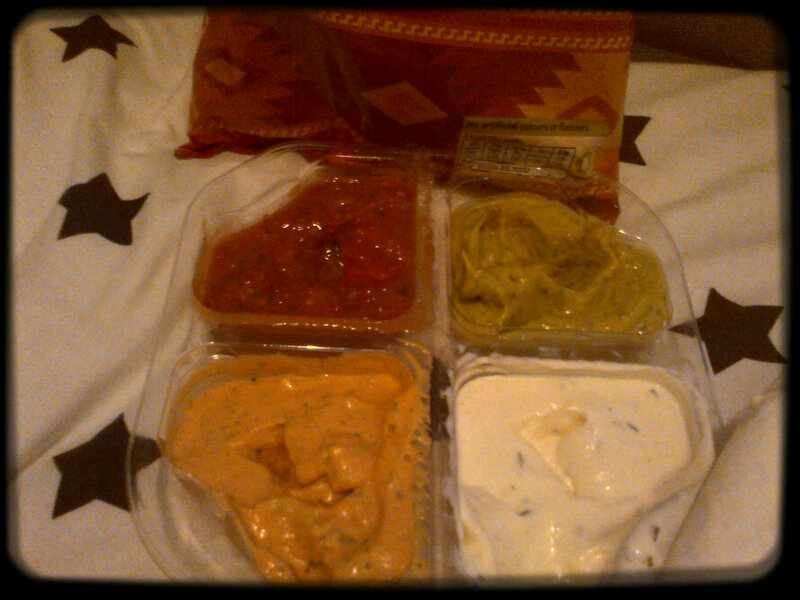 Nachos & dips – yum yum yum! I hope you have all had a lovely weekend. Back to work for me tomorrow – boo!